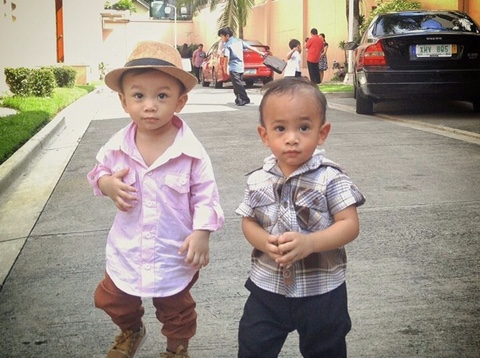 I'm gonna blog about my son today and there are people asking where I bought my son's clothes. 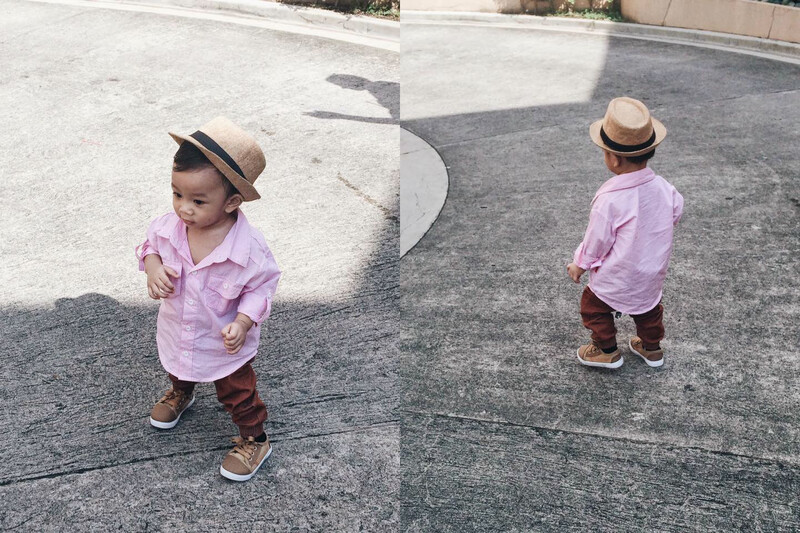 Then I got an inspiration to blog my son's OOTD. 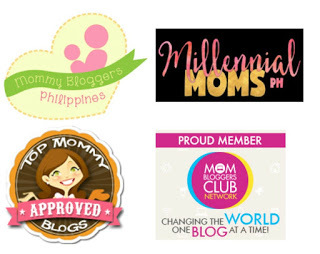 I am not a fashionista mom, nor love to shop branded clothes. Sa totoo lang, karamihan ng damit ko sa Divisoria ko lang binibili. Minsan pag may sale sa mall, bumibili din ako pero bihira lang. For my son, I usually buy clothes in SM Department Store kasi dun mas madaming mura unlike sa mga separate stores. I tried checking H&M and Gap Kids kasi may Sale pero grabeee ang mahal pa din. Kahit afford mong bumili kung di naman swak sa budget, wag na ipilit diba. We occasionally buy him new formal clothes for thanksgiving day (pasalamat). If you guys don't know it, it is one of Iglesia Ni Cristo occasion every month of July and December as our way of being thankful and giving back to God. Mahalaga itong okasyon na ito sa amin, kaya talaga namang pinaghahandaan. 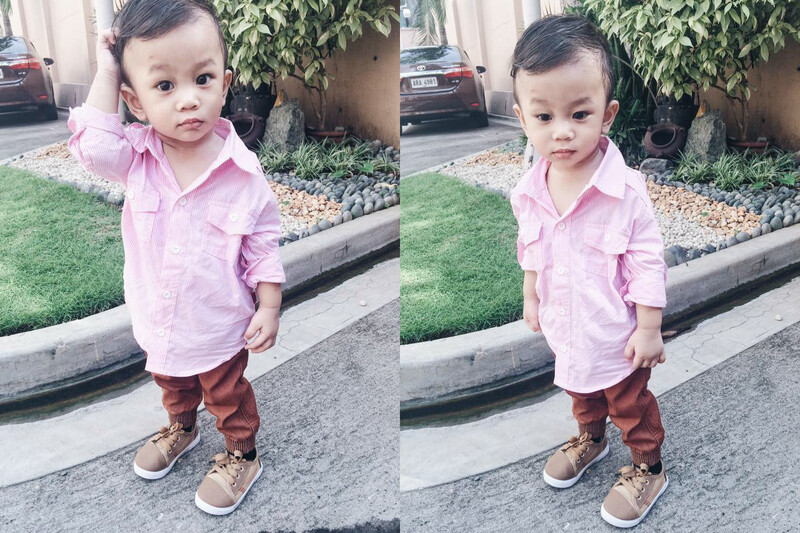 His pink polo cost P350, Baby Jordan brown pants for P300 and shoes for P199. Actually his shoes is Buy 1 take 1 for P349.95 so we bought another pair of it. Good deal right? Just make sure mommies when buying clothes for your little one, first you need to consider is kung komportable ba si baby sa susuotin niya. Baka naman sobrang sikip or sobrang luwag. Dapat yung tama lang. Yung makakilos siya ng maayos. There's nothing wrong kung gusto mong mag allot ng allowance, kasi mabilis lumaki ang mga bata. 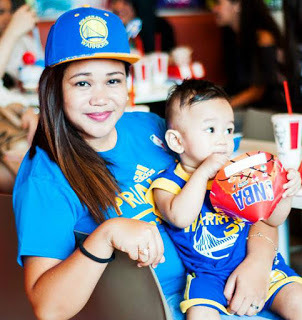 Siyempre gusto nateng mga mommies eh yung matagal tagal pa niyang magagamit hindi yung 1 or 2 gamitan lang. Another thing to make sure when choosing clothes is the color and style. 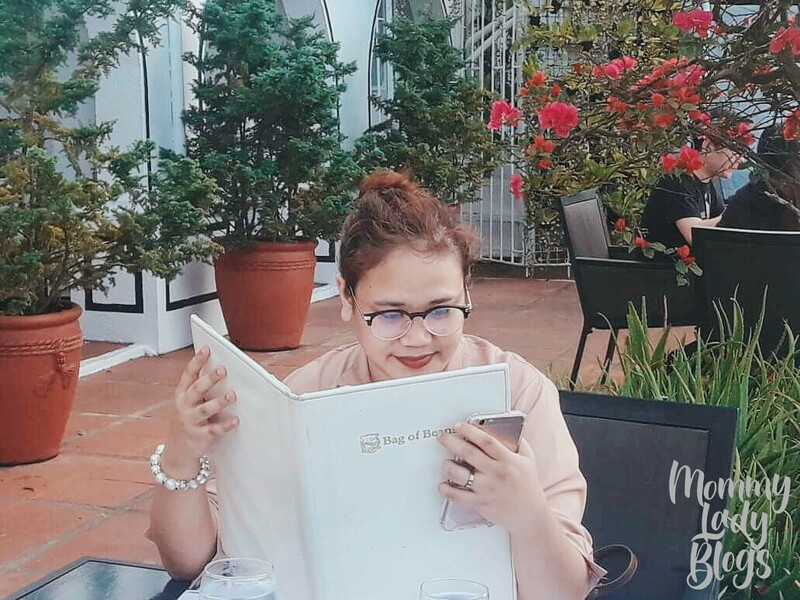 Minsan nasosobrahan na tayo sa pagporma sa kanila, di naten napapansin na medyo pinapatanda o pinagmumukha na naten silang matanda sa edad nila. That's one of my mistake before. 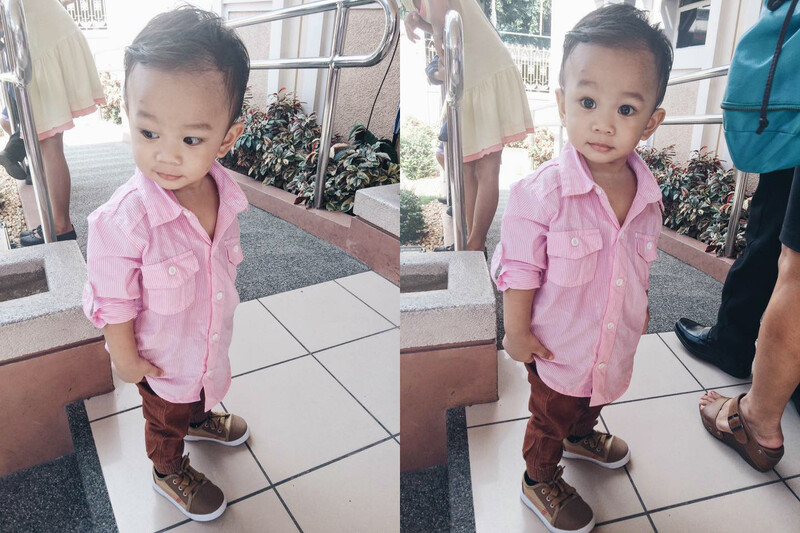 I was so eager to dress my son with manly clothes, not considering na sobrang baby pa niya. 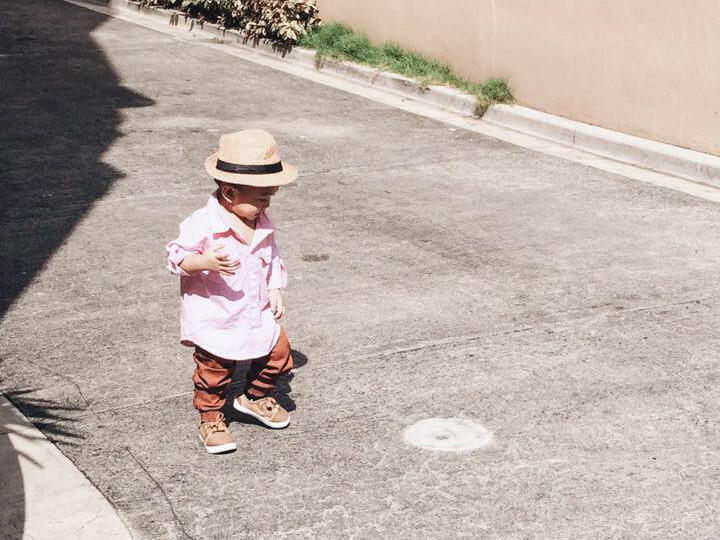 So dress up your baby appropriately according to their age. Well that's it. 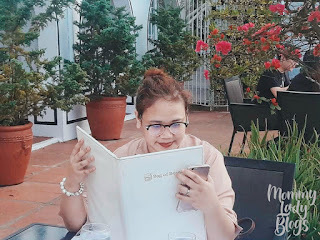 I think I'm going to post occasionally ng mga OOTD ni Prince not to brag about his clothes (as you can read, his clothes are not that expensive) but because I want to have something to look back. Kids are really growing up so fast and I'm sure one day I will miss those days when he's still a little boy :'( So I'm appreciating every precious moment I have with him. Let me end this post with this super cute photo. They are in the same age and we (mommies) are really trying them to be best friend. Thanks for reading and dropping by! Leave your thoughts or comments below, I will be very glad to respond.